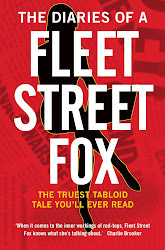 fleet street fox: And what do you do? There is no need to worry about the stuttering economy, the impending collapse of the Eurozone, empty pension pots, the lack of midwives, striking teachers, a buggered banking system, drought, the widening gap between rich and poor or increased taxes on the one holiday a decade you might be able to afford if you stop eating anything but cardboard you find in a skip and save up and don't get mugged, knifed or come down with rickets before you get on the plane. All that stuff is nothing. Meaningless. Not worth the effort of bothering your little selves with. Everything is FINE. Because we have a benign overlord who addresses us once a year by means of reading out words a number of people have written for her, including the bit at the end which says [SMILE!] and which you can spot by her confused expression as she thinks about it then lifts her upper lip in the difficult grimace of someone not quite sure if they're doing it properly. And she knows EXACTLY what's going on. She reads lots of Government papers and assents to laws and gets to sit down with PM Dishface once a week, while he tells her that out beyond the ha-ha everything's dandy, the peasants are learning how to wash themselves at last and he'll be introducing cutlery very gradually, so as not to alarm them. As a result Brenda has a solid and firm grasp of the crisis and scandals which rock her country, and that she views from the lofty position of living in five houses, owning dozens of racehorses, having vaults packed with jewels and a morning routine of reading The Racing Post from cover-to-cover while Philip harrumphs behind the Wellygraph. 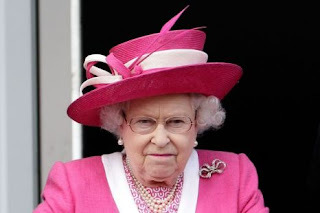 So yesterday when confronted with a former politician at Buckingham Palace who wanted to discuss Britain's rather-naffed up economy with her, Brenda gave him the full benefit of her views and experience of 85 years spent, well, quite nicely thank you. "Yessss," she said thoughtfully. "They do face great difficulties, don't they?" After which she toddled off to feed fresh hand-made scones to her pack of tiny demonic dogs and watch The One Show. I don't know about you, but I feel MUCH better. Is that a fox? Release the hounds.